GSAFE has its roots and history in south central Wisconsin, but we have strong relationships with individuals, schools, and organizations around the entire state. Our community is made up of people who want to see GSAFE’s vision for just schools for LGBTQ+ youth come to fruition: students, parents, educators, administrators, faith and business leaders, and an incredible list of donors and volunteers who help keep us strong. 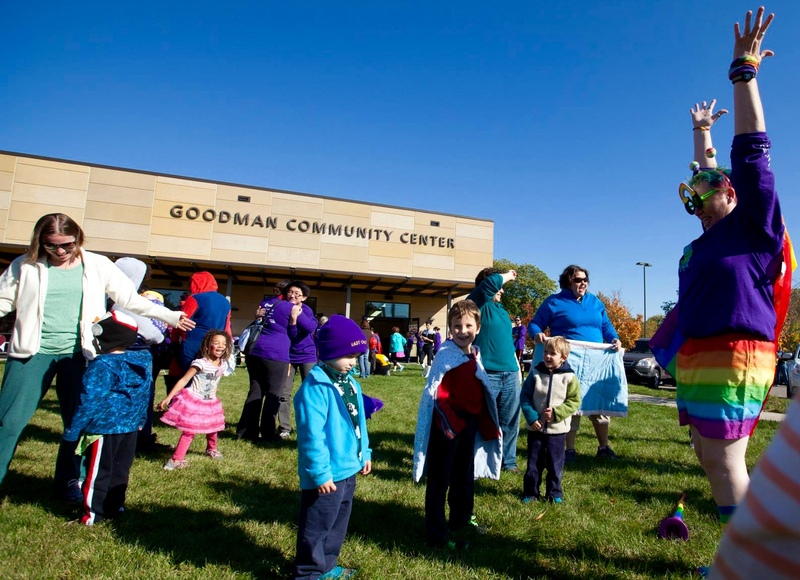 We hold two big community events every year: our Celebration of Leadership Scholarship Banquet in May, and our Trick or Trot 5K walk/run in October. Lady Rainbow getting the crowd excited for the kids run at our 2014 walk/run.